Jeff Moehlis: What can people look forward at your upcoming concert? 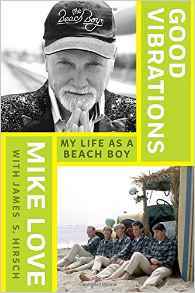 Mike Love: Everything that they can possibly imagine from The Beach Boys. We’ve got so much music to choose from over the decades. We do stuff that’s a little bit more esoteric. We just do such a comprehensive show. 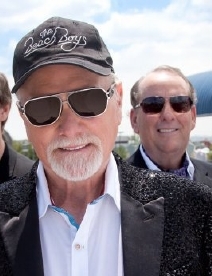 Our favorite thing to do, which we’ll do next Wednesday night, is An Evening With [The Beach Boys]. We’re our own opening act. We do an hour first half, with a 20 minute intermission, followed by an hour second half. And if the audience is really into it we’ll add a song or two. We’ve been celebrating the 50th anniversary of Pet Sounds, and we’ve been celebrating the 50th anniversary of “Good Vibrations”. “Barbara Ann” came out in the same year – early in ’66 was “Barbara Ann”. Then Pet Sounds came out and “Good Vibrations” came out. It was a monumental year, 1966, for The Beach Boys. Even to this day, all those songs have such a tremendous effect on people, ourselves included. We love doing them. We’ll do everything from an a cappella song, “Their Hearts Were Full of Spring”, originally done by The Four Freshmen, to “Wild Honey”, which was recorded at my cousin Brian Wilson’s house. They were doing the track and I wrote the words, and Carl [Wilson] sang the lead. It was brilliant. Now, John Cowsill, who lived for quite a while in Ojai, he takes over the lead with our band on “Wild Honey”. Foskett does “Don’t Worry Baby” and, if we do stuff from the Pet Sounds album, he does “Caroline No” beautifully. We just do a whole range of moods and tempos, subject matters, that we’re known for. JM: Jeffrey, can you tell the story about when you first met Mike Love? So I walked up to him, and he was with his then-paramour, and they were enjoying a nice quiet dinner which I rudely interrupted, and invited him back to the bar. I said, “Hey man, we do a couple of your songs. Will you come back and see it?” He said, “I don’t smoke cigarettes and I don’t drink alcohol.” And in the ’70’s, every bar was filled with cigs, and they were all meat markets. So Michael politely declined. But I guess he heard us on the way out and stopped in for a few songs, and liked what he heard. JM: Which Beach Boys songs were you playing at that time? JF: We did very simplified versions of their hits. 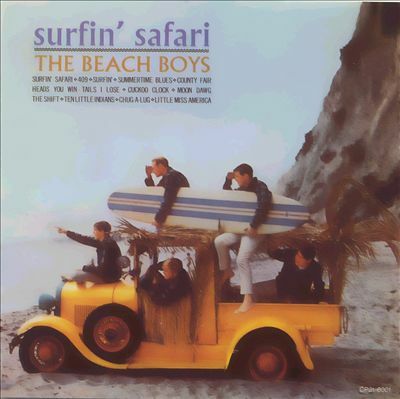 “Surfin’ USA”, “Surfin’ Safari”, “Fun, Fun, Fun”, “I Get Around” – those kind of things. JM: Mike, what did you think of Jeffrey when you first heard him performing? ML: Well, Jeff’s always been a great singer and a very talented person. He’s spent his whole life doing music, ever since he went to UCSB. He was always playing. His first love is music, I think. So we really clicked. Anybody that is that dedicated to music is… is like a cuñado [brother-in-law in Spanish]. So we’ve had a really long relationship. He spent several years with my cousin Brian as his musical director, singing a lot of the parts that Brian no longer does. But now, with Jeff in the group and the addition of someone [Brian Eichenberger] who plays bass and was 18 years in The Four Freshmen – I mean, that’s some serious pedigree – the vocal strength of the current band is as good or better than it’s ever been in the history of The Beach Boys. JM: Jeffrey, I understand that you had another early Beach Boys interaction when you tracked down the house that has the window on the cover of the Wild Honey album. Can you tell a bit about that? ML: [laughs] That’s great! 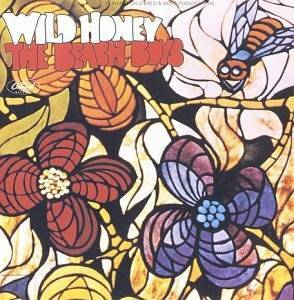 You know, regarding Wild Honey, I remember going to the cupboard. Brian, around that time, owned a place called the Radiant Radish, a health food store, and his cousin Steve Korthoff helped run it. So his kitchen had a whole bunch of things from the health food store. I went to make some tea and I opened the cupboard in the kitchen at his house where the studio was, and there was a jar of wild honey. I said, “Well, that’s a great title for a song about a guy who’s hot about this girl.” So I wrote the lyrics, inspired by just opening that cupboard to make a cup of tea and seeing that jar of wild honey. That started the whole thing going. JM: Keeping with the Wild Honey theme, that album is not as appreciated as Pet Sounds, for example, but it’s a great album. Mike, how did the band’s approach to Wild Honey differ from Pet Sounds? 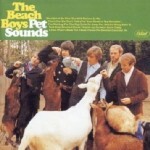 ML: Well, Pet Sounds is almost symphonic in certain ways. Beautiful woodwinds and all kinds of instrumentation that you wouldn’t ordinarily associate with rock music. It was quite an evolution in terms of the arrangements and production and instrumentation, in particular. 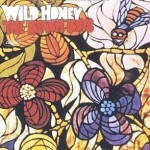 With Wild Honey, it was more like, “OK, let’s do something more R&B.” For instance, Carl Wilson did a phenomenal job on “I Was Made to Love Her”, as he did on the lead on “Darlin'” and “Wild Honey”. So Carl played an incredibly huge role in the recording of that album. But Brian would get in the studio, and the whole intention was to do something a bit more R&B. 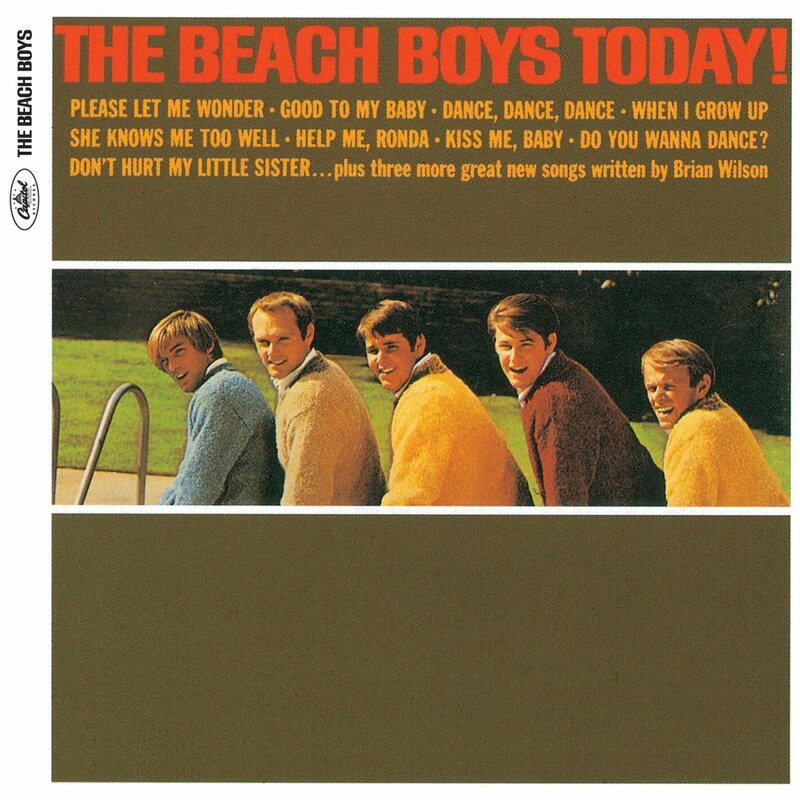 So when you have songs like “Wild Honey” and “Darlin'” and “I Was Made to Love Her” on the same album, it was a departure for The Beach Boys. It was funkier. I love those songs from that album. Jeff these days does “Darlin'” onstage with us, and does a phenomenal job. I’m pretty picky about that song because I wrote the lyrics [laughs]. JM: That album turns 50 this year. You’re ticking through a bunch of big anniversaries. ML: I know. Yeah, “Do It Again” will be 50 soon – it was originally done in 1968. So, yeah, we’ve got a lot of things that we’re celebrating the Golden Anniversary of. JM: Mike, your memoirs came out recently. When you were working on that and reflecting on your life and music, were there any surprises that you learned about yourself? ML: You know, the fellow that helped me write that book – I’m the author, he’s [James S. Hirsch] the writer – we would go over all kinds of situations and things. Maybe some things that weren’t exactly accurate [laughs], and we would give my experience, my point of view, my part of the story. But there were things that were brought to mind that I had forgotten about. He would do some research, and he’d ask me about something. My memory was enlivened because of the process. There were a lot of things that obviously I’m familiar with, but maybe I hadn’t thought about in 20, 30 years. It was quite a process doing that thing. It took a while – it took a couple of years. And I also did the audio recording in my home studio in Lake Tahoe, which was nice. It took three and a half days to record the entire book. So there’s an audio book of it. And that was an experience, I’ll tell you. Like, I was talking about Carl Wilson’s last concert, and him taking a look around the stage and stuff. It was in Atlantic City. He went through chemotherapy and was fighting lung cancer. Man, I mean, it was hard to even read the words. And people like your parents pass away, or your sister dies of cancer, or Carl comes to lung cancer. It’s one thing writing something out, but it’s a whole other thing when you read it out. You know, I got choked up a few times during the reading of the Good Vibrations book. JM: Here’s a lighter question for both of you. What’s your favorite Beach Boys song, and your favorite Beach Boys album? JF: My favorite song to listen to is probably “Wouldn’t It Be Nice”. My favorite song to perform is definitely “Good Vibrations”. That’s my favorite record as well, “Good Vibrations” – the difference between a song and a record. 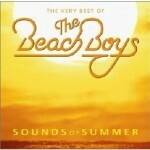 My favorite album is definitely Beach Boys Today! ML: It’s hard to say. For instance, “The Warmth of the Sun” has such beautiful harmonies, it’s so haunting and melancholy. Brian and I wrote that during the wee hours of the morning of the same date that President Kennedy was taken to the hospital in Dallas. So that has a lot of emotional impact, a lot of vivid emotional feelings. 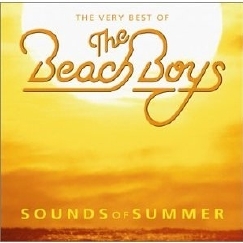 I always say that my favorite song of The Beach Boys depends on what mood you’re in. Are you in sort of an introspective or melancholy mood? You might like “In My Room”, “Warmth of the Sun”, “God Only Knows” for that matter. But if you’re feeling good, “Surfin’ USA”, “Fun, Fun, Fun”, “I Get Around”. Those are all great. And, as Jeff pointed out, performing “Good Vibrations” – it’s hard to beat that. That is total avant garde. It still is unique, 50 years later. It’s so unique, and I’m very proud to have been part of the creation of that song, coming up with the chorus “I’m picking up good vibrations / She’s giving me excitations”, and writing the words and all that. That was a true collaboration, just a brilliant track, just incredibly unique. So, I mean, in terms of artistically, I’d have to say that “Good Vibrations” is probably it. JM: Mike, do you have a favorite Beach Boys album? JF: Yeah, that’s pretty good, I have to say. ML: Each album is like a kid, you know what I mean? It’s like a family full of children. Each album has its beautiful gems and wonderful things on it, and some songs are the favorite songs of some people, and others don’t even know of the songs. For me, I like the fact that the Sounds of Summer album was done so well and has so many great hit songs of ours on it. But each individual album has its gems, its beauties. I couldn’t put one down in favor of the others, I don’t think, because you always find something absolutely cool on every one of our albums. JF: Change industries [JF and ML laugh]. The music business, as Michael grew up in it and certainly as I grew up in it, was so vastly different than it is today. I really wouldn’t know, because with the advent of GarageBand and everything else, everyone who owns a computer has a studio. You know, people sample bits of songs, and they sample other things and then add lyrics to it and call it their own. It’s so foreign to me, rather than sitting down and writing a song, and having to record it onto tape and actually do it in several different takes, no Auto-Tune or anything. It was a razor blade and a splice if you had to do something. With the advent of all of the technology today it’s so vastly different. My advice to an aspiring musician would probably be, make sure you have a good technical knowledge of how things work, and a good business acumen as well. Because it’s the music business. As Arsenio Hall said, never forget that the word “business” is bigger than the word “show”. And I’ll say “music” in this case. JM: That’s actually similar to what Mike said a few years ago. ML: I think I probably said to make yourself knowledgeable about the business of music. Neither The Beatles or The Beach Boys when they started out knew the real value of publishing, for instance. So you turn your songs over to a publisher with the idea that, oh wow, they’re going to get my music played. Little do they know they just gave away millions and millions of dollars, and if they’re successful, hundreds of millions of dollars worth of value. 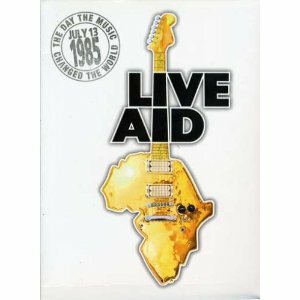 Because we were all uneducated in the music business, and naive about things and maybe too trusting in certain situations – which I wrote about in my book. So I think music business knowledge is really good. Even if you’re the most talented person in the world, you can still be taken advantage of. I think that knowledge of the business of music is vital. JM: I believe that Jeffrey was part of the band when The Beach Boys played at Live Aid. What are your memories of that event? ML: I remember that Bill Graham didn’t want us on it, but Bob Geldof said, “No, you’ve got to have The Beach Boys, because when they do their songs people are going to feel good and they’re going to phone in and contribute.” And in fact, we performed in Philadelphia, but at Wembley Stadium in England people were singing along to our songs, “Wouldn’t It Be Nice” and so on. And sure enough, the contributions spiked, they went up during our set, which is pretty awesome. So Bob Geldof had the right instincts. We were very honored to be part of that whole event. JF: It was run very militaristic, almost. I have to say that it was the best run, most well thought-out festival. I think that they learned a lot from Woodstock. You were only on that stage for a limited amount of time. While one act was playing in Great Britain, the other act was setting up in the U.S. It was brilliant. It was constant music, and it was 20 minutes and your set couldn’t go over 20 minutes or whatever it was. It was really, really well done. JM: What do you view the legacy of The Beach Boys to be? ML: I think the legacy of The Beach Boys is the music. Not all the chicanery and nonsense of squabbles or any of that crap, or Charlie Manson. None of that. It’s all about the music, and the way the music makes people feel. And people feel great when they listen to Beach Boys music and they go to a Beach Boys show. About three years ago there was a ten year-old girl, she was a Make A Wish girl who had issues with some kind of tumor. A gorgeous girl, didn’t look sick at all. She came backstage for a meet and greet, and I said, “What’s your favorite song?” She’s ten years old, and she said, “409”, which is the flip-side of “Surfin’ Safari” from 1962. So it came out, what, 40 years before she was born. That’s miraculous. The fact that children from 10 years-old to people 100 years-old can feel good coming to a Beach Boys show, or listening to our music – that’s the real legacy. The positivity, the warmth, and the love that went into that music. Because when we started, it was about making music, but it wasn’t about being a star or making money, or anything like that. It was just because of the love of getting together and creating those harmonies. That was what we loved to do, irrespective if we did it as a hobby or as a long-lasting profession. It just so happens that my cousin Brian and I were able to craft some songs together that have allowed us, even 50 years after we started, to keep doing those songs in person, in a concert, and enjoying making music and also enjoying seeing the effect that our music has on an audience full of people. JF: As a spectator for almost 40 years, I agree with Michael. There are generations of people that come to every concert, and have, even when I was first in the band. Even though the music was only 10 years old then, it was all over the spectrum, from 17 to 57 or 67 year-old people. Hot rod heads, to surfers, to people just wanting to drink wine out of a bota bag and listen to “Wouldn’t It Be Nice”. Things really haven’t changed. It’s great music for all generations.